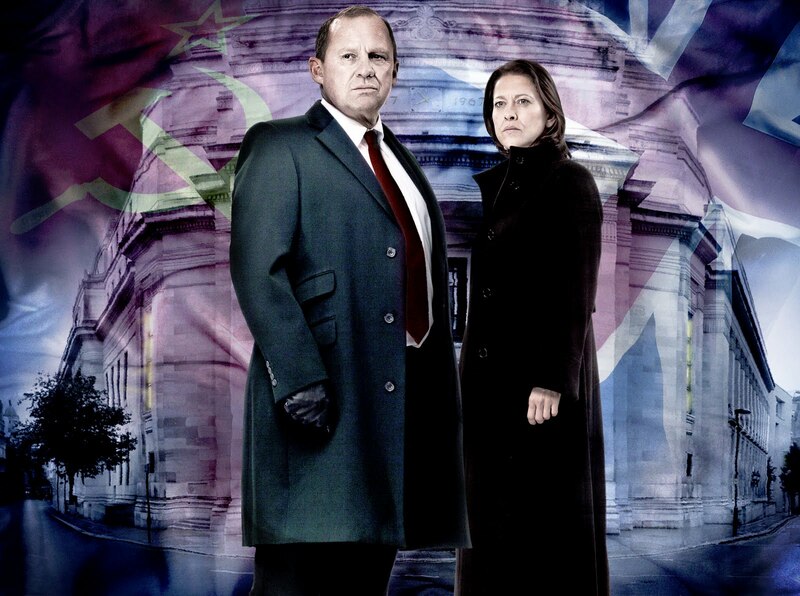 On Thursday May 8 2015, Spooks returns to our screens - but big screens this time, as opposed to TV where it first ran for 10 series. 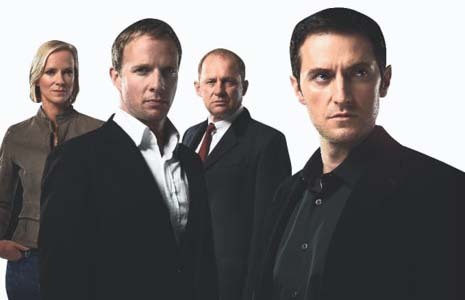 Four years after the show reached its climax, the movie Spooks: The Greater Good is upon us. 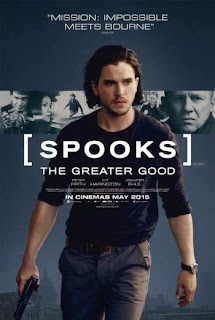 Spooks entices you into a world to which you'd otherwise have no access. The scarily seductive micro-universe of MI5. Sure, it's MI5 played for razor-edge drama, but it's about as much of an authentic feel as you're likely to get, without subsequently being bundled into a black van in the middle of the night and vanishing forever. It's a relative safe, entertainingly vicarious look into that mind-boggling world via majorly souped-up TV specs. There's no question however that Kudos managed to mirror, and sometimes even pre-empt, the global climate when it came to terror, espionage and lurking threat. Its finger remained squarely on the pulse, as well as the trigger. Ingeniously, Spooks makes you care more about these characters by dint of the fact that any of them could die at any moment. This was established early in Series One, when one character had their hand dunked into a deep fat fryer, followed shortly afterwards by their head. This seriously horrific scene was matched only for intensity during Spooks' entire run by a sequence in Series Five in which a really likeable Section D character was psychologically terrorised by two thugs, then murdered. That's still one of the most disturbing and haunting things I've ever witnessed on TV - and despite myself, I love to be disturbed. How often does drama properly shake you and feel like it's doing something forbidden? Spooks plays hard, fast and loose with its people, keeping you on the edge at all times. No-one is safe. Spooks moves fast. As the producers have noted, the show munches narrative like a nuclear-powered Pac-Man (okay, I'm paraphrasing). It's clear that, while assembling each episode's plot, writers have been encouraged to pile in as many shocks and twists as possible. The show worked hard to anticipate your expectations, subvert them and then throw the whole thing into a blender roughly ten minutes from the end. Dear God, that whole bomb plot has been a decoy! This is actually about feeding the Prime Minister headfirst into a cement mixer while his weeping children watch! Spooks not only moves fast, but it's jam-packed with brain-warping plot goodness. Spooks tempers its brutal ice with heart. Behind all the explosions, gunfire and nail-biting transferrals of confidential data to USB sticks, the show has always wisely striven to give their agents a personal life. A recurring thematic question throughout Spooks' run has been how MI5 operatives can balance their work with their often sorry excuses for home lives. Drama's most likeable characters tend to have one thing in common: altruism. That's arguably why the two most evergreen professions in long-running drama are medicine and law enforcement. Spooks' characters constantly have to value the greater good above their own lives, even if it means losing colleagues who have also become friends. I'll never forget Adam Carter (Rupert Penry-Jones, the finest of Spooks' square-jawed leads) throwing up into a sink upon hearing a fellow operative getting shot in the head over a comms link, then having to immediately pull himself together in order to deal with the ongoing crisis. Section D's quotation-spouting, scotch-sipping monarch has remained the decade's sole constant as horrendous things happen to his agents, whose heads he regularly has to place on chopping blocks for Queen and country. 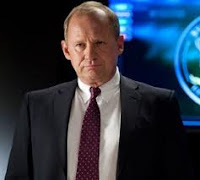 Peter Firth is consistently astonishing in the role. He's the absolute master of underplay. Where other actors might belt out the lines, Firth practically whispers them - and his increasingly weathered expressions tend to say far more than his mouth.